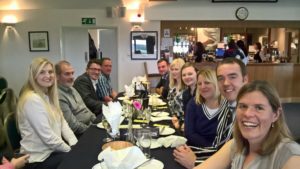 Celebration at Chinnor Rugby Club! The PCMS Design team was delighted to visit Chinnor Rugby Club last Saturday for a special lunch, celebrating not only the continued success of the Club, but also the recent completion of the new entrance and alterations project. Local dignitaries attending included local MP John Howell, Thame Mayor Linda Emery and Councillor Jeannette Matelot-Green from South Oxfordshire District Council. The Club made use of our design and project management services after obtaining funding for a series of clubhouse improvements. 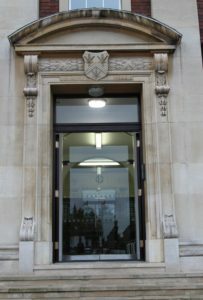 There is a new welcoming entrance with modern stairwell, refurbished WCs and a larger kitchen fitted with catering equipment for the many functions that take place in the building. Club president John Ashfield praised the PCMS Design team for delivering the project on time and within budget, and also thanked construction firm Classic Builders (Watlington) Ltd for their efforts during the build. This is Phase 1 of improvements to the clubhouse, and we look forward to working with Chinnor Rugby Club on Phase 2. This entry was posted in Chinnor Rugby Football Club, design, extension on October 24, 2016 by admin. Denbigh High School is well known throughout Luton; originally constructed in the 1930s, it has an impressive façade making it a local landmark. 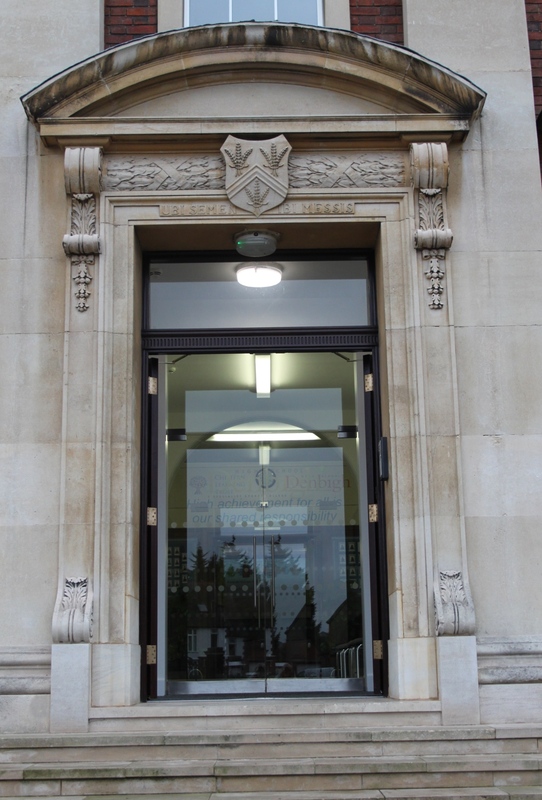 The main entrance, however, was in need of modernising. 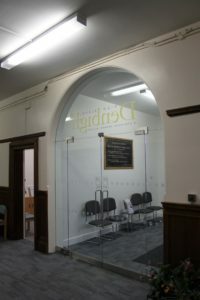 We produced a design for the internal spaces that included installation of a new reception counter, refurbishment and extension of the main office, introduction of a new door opening for the head teacher’s PA and the creation of a dramatic modern entrance hall with tall glazed double doors and archway above. The result is an impressive entrance hall in which to greet visitors, and improved office work spaces for staff. Staff at Denbigh, which is consistently rated ‘Outstanding’ by OFSTED, are delighted with the alterations. This entry was posted in Bedfordshire, Denbigh High School, design, project management, renovation, School Refurbishment on October 21, 2016 by admin. School building that’s made in a factory! 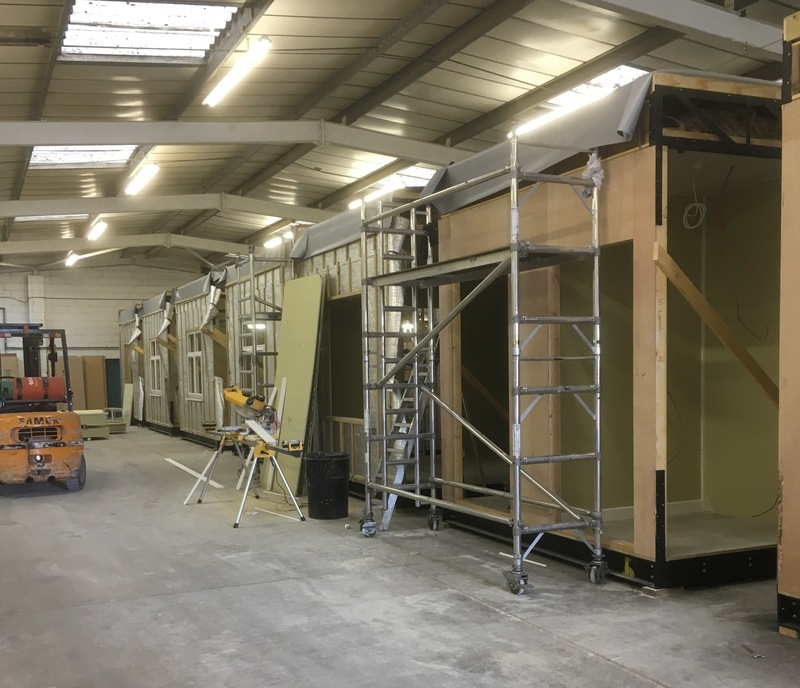 PCMS Design is currently working on a number of projects for Ivel Valley School in Biggleswade, and construction work has just begun on a new two-classroom modular unit for which we created a bespoke design. Once we had administered the planning application and building regulations plan approval process, we assisted the school with procurement of suitable modular manufacturers. Modular ‘bays’ are pre-assembled from panels in the contractor’s factory. Windows, doors, internal walls and floors are all put together in advance of site delivery. This enables the construction timetable to be far quicker than a conventional build, and also keeps costs down. Our designers paid a visit to the factory this week along with client representatives to see how manufacture was progressing, and everyone was impressed by the speed of production. On-site preparation works have begun; we will visit the school again shortly to watch the pre-formed modular ‘bays’ being craned into position. This entry was posted in Bedfordshire, classroom, construction, design, Ivel Valley School, modular unit, School Construction on October 10, 2016 by admin.